Although the temperature in most places has already felt like summer for quite some time, it officially began early this morning. 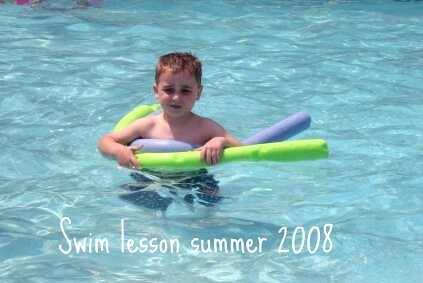 As the mother of two little boys, safe play in the summer is crucial. Whether we play out in our yard, use bikes, go to the pool or spend time at the playground we must take steps to avoid trips to the doctor or emergency room. Growing up, I used to spend most summer days at my Nana and Papa’s pool. It was an in-ground pool, complete with a diving board. We always had very strict rules about when we were allowed in and having an adult nearby to watch when little. I also remember when safety was stepped up even more. When my cousins moved in with my Nana, they added an additional safety fence with lock and key around the pool. 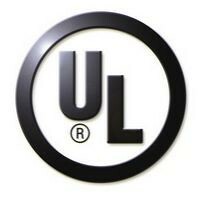 Lucky for us, Underwriters Laborities (UL), a leading product safety testing organization, has provided families with useful tips to help keep all of us safer around play sets and the pool. In addition to this, UL has made a water safety video using Pumba and Timon from Disney’s Lion King. Below are some of the tips that I would like to share as we all enter into the summer season. Although pools are a lot of fun and keep us cool in the summer, UL notes that 4,200 people go to the emergency room each year due to pool or spa-related injuries. It is sad that I have known several people who have had children not only go to the ER from pool injuries, but also drown in a pool. There is no guarantee that these will be 100% effective, but every little bit will help your children to stay safe around water. If you have a pool at home, install a fence. The fence should be at least four feet high and have a self-closing, self-latching gate that has a locking mechanism beyond a child’s reach. If you prefer to stay on dry ground, also note that UL notes that each year there are more than 200,000 children ages 14 and younger that go to the emergency room for play-set related injuries. My little guy, just three, has no fear and play-sets scare me at times. Still, I want my kids to enjoy and be able to have fun in the sun. Make sure your backyard is large enough for playground equipment. The site must also provide good visibility and security. Before setting up equipment, look out for obstacles, such as the garage, tree branches, utility poles and wires. Read and follow the manufacturer’s directions when setting up play set equipment. Be sure your child’s weight and age fall within the manufacturer’s recommended limits for the equipment. Install protective surfacing, such as rubber tiles or mulch under the play set, at least six feed in all directions, to prevent serious injuries should a child fall. Carefully inspect backyard playground equipment. Make sure equipment is anchored safely in the ground, all equipment pieces are in good working order, S-hooks are entirely closed and bolts are not protruding. Check for spaces that could trap children, such as openings in guardrails or between ladder rungs. These spaces should measure less than 3.5 inches or more than 9 inches. Always supervise children on play set equipment to make sure they are playing safely. Never attach ropes, jump ropes, clotheslines, pet leashes or cords of any kind to play set equipment. If used improperly, they can be potential strangulation hazards. Watch for potential trip hazards, such as rocks, tree stumps and concrete footings. Make sure you’re children are aware of them as well. Do a sandbox check. Before letting your child dig in, rake through the sand to check for debris or sharp objects. Also, inspect for any animal contamination or insect problems. Please do your part this summer. Be sure to think ahead, look over your surroundings, watch your children and always be prepared in case you have an emergency occur. What will you be teaching your children about safety before they head out this summer? Disclosure: I wrote this review while participating in a blog campaign by Mom Central on behalf of Underwriters Laboratories. Mom Central sent me a gift card to thank me for taking the time to participate. I never heard about the 10/20 rule but think it’s a great idea! .-= kailani´s last blog ..WW: Chocolate Cake =-.